Rob McAninch Photography specializes in cool and timeless senior portraits and weddings. Rob McAninch is also available for family and relationship portraits, anniversaries, vow renewals, group events, executive head shots, and team photos. On location, studio, or destination settings available for most portraits. With lighting, casual posing, fashion, and industry standard software and equipment we will capture the special moments in your life in artfully crafted portraits. Based in Southwestern PA (Butler, Kittanning, New Bethlehem, Indiana, Ford City, Pittsburgh, etc.). Special events and location weddings are available almost anywhere in the U.S. 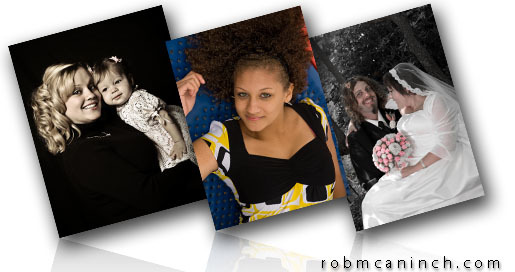 Rob McAninch Photography is a top photographer in the Kittanning, Pennsylvania Professional Photographers guide on MarketingTool.com. © Copyright 2005-2018 Rob McAninch Photography. All Rights Reserved.